I recently tacked a kid-free weekend of skiing at Avoiraz in France onto a business trip, and found myself in a family ski paradise. With hundreds of lifts and more than 400 miles of runs across 12 linked resorts, the Portes Du Soleil is an amazing destination for a dream family ski trip. With only two days to explore the area, I focused my first day on exploring Avoriaz itself, which lies at the heart of the region. If possible, I’d highly recommend staying in the village of Avoriaz itself, a modern car-free town full of condos and hotels that all have ski-in/ski-out access, and cater almost exclusively to skiers in the winter. The village has lifts pointing in all directions once you get settled in, and even a few that run between the hotels and through the middle of town. There are ski tunnels to zip under hotels, lots of restaurants and cafes, and even ski-up banks, pharmacies, bakeries and a swim center. Accommodations in Avoriaz are some of the most expensive in the region, and with no notice, I couldn’t find weekend rooms for less than 300-400 euros per night. I reached out to the tourist office, and they helped me find a 180 euro room at Hotel Niege et Roc, in Les Prodains, a tiny village just below Avoriaz. The hotel was charming, had a wonderful breakfast (included in the price), and was just across the street from a brand new cable car that led to Avoriaz, and the finish of the 4-5 km long “Coupe du Monde” (world cup) decent. Avoriaz is heavily focused on families, they have a Children’s ski school called the “Village des Enfant,” which looked like it would be awesome for young children between 3 and 7. I saw lots of older children in ski school classes that seemed to have between seven and 12 children, often with more than one instructor. There are many green and blue runs that extend through and around the village for new skiers, and if your kids have been skiing for a while, there are some great long descents, and some relatively easy ungroomed red runs (in Europe, red runs are between blue and black) which can act as a nice introduction into moguls. I especially enjoyed the red Pschott Snowcross area, which was not especially steep, but full of challenging little drops, bumps, and crevasses. Avoriaz by itself would rival all but the largest North American resorts, but the real joy of visiting the region is touring from village to village. On my second day in the region I went on a grand loop from Avoriaz and Châtel (which are both in France), and into the Swiss resorts of Torgon, Morgins, Champousin and Les Crosets, before returning to Avoriaz. 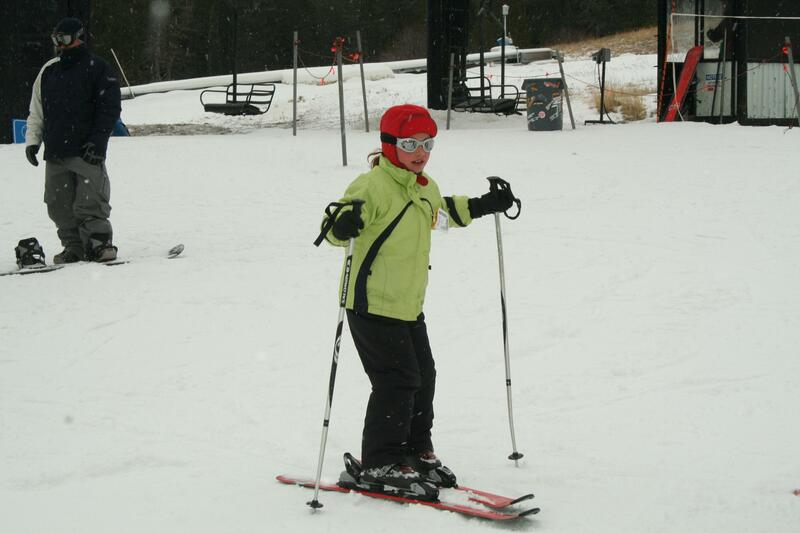 It was an amazing experience, though I would not recommend it with beginner skiers, or even intermediate’s under 9 or 10. It requires a reasonable comfort with black runs and a lot of stamina and enthusiasm.